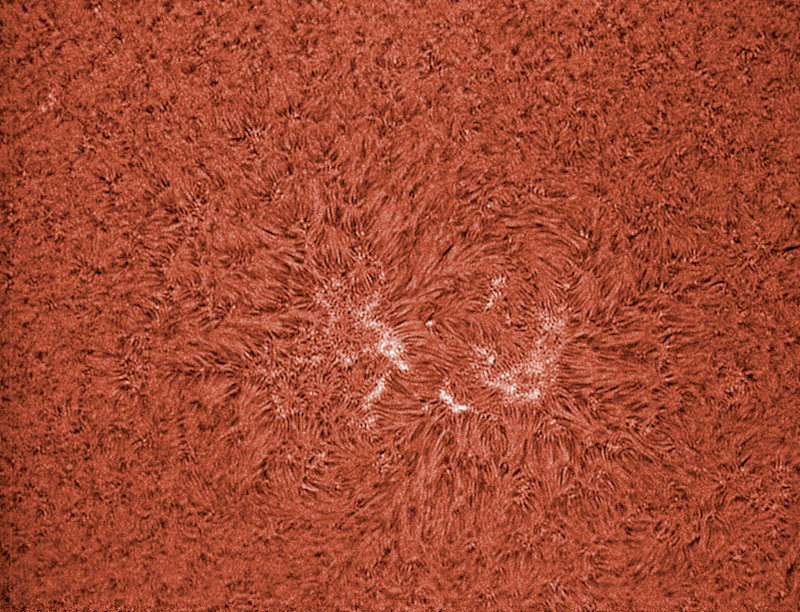 Core-less active regions were imaged in H-alpha. 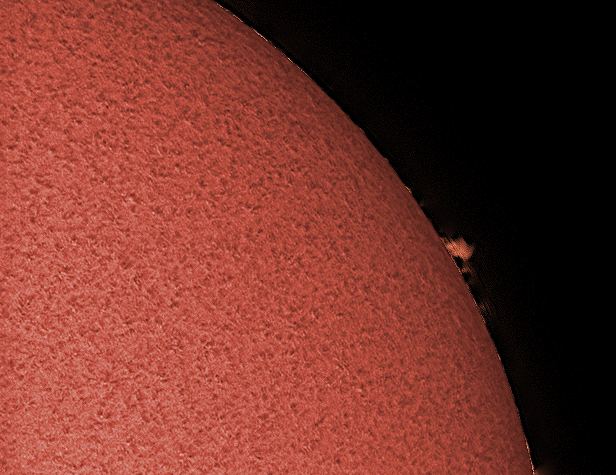 AstroDMx Capture for Linux was used with a DMK 21AU04.AS camera fitted with a 2.5 x Barlow, and a Solarmax ll 60 BF15 H-alpha scope. 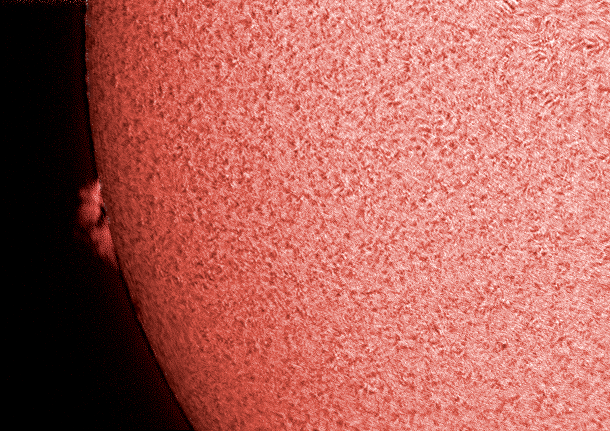 Stack of the best 2k frames of a 10k SER file. 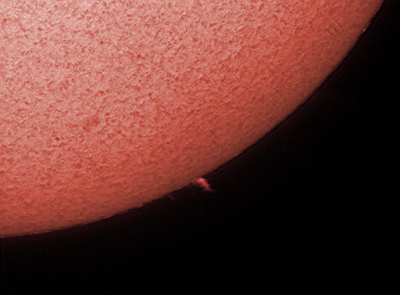 Three prominences were imaged with AstroDMx Capture for Linux, a DMK 21AU04.AS camera with a 2.5 x Barlow and a Solarmax ll 60 BF15 H-alpha scope. 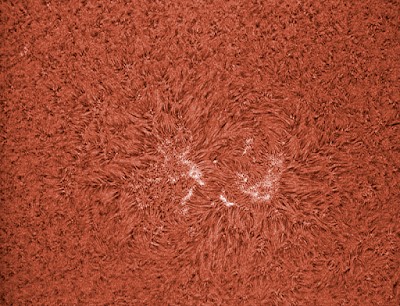 2000 frame SER files were captured exposed for the prominence and exposed for the disk. The best 50% of frames in the SER files were stacked in Autostakkert! 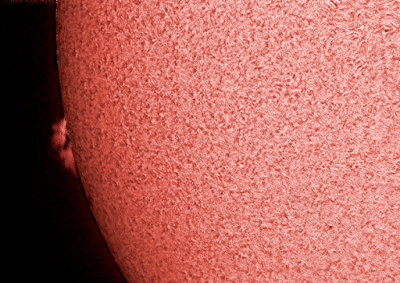 3 and wavelet processed in Registax 5.1 both running in Wine. The prominence and disk images were combined in the Gimp 2.10. Four overlapping quadrants of the Sun were imaged with 2000 frame SER files, exposed for the Disk and also exposed for the prominences. 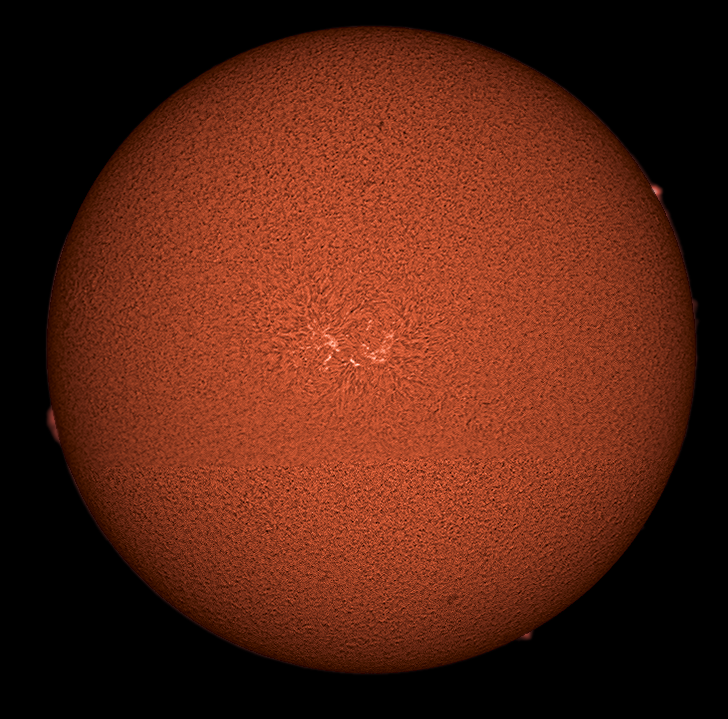 The SER files were stacked in Registax 5.1 running in wine. The 4 disk quadrants were merged in Microsoft ICE running in Wine and the 4 overexposed, prominence quadrants were merged in Jon Grove's iMerge also running in Wine. The two resulting images were merged in the Gimp 2.10.